Home trends come and go. Every year we see new styles rise in popularity and old fashions fall behind. Homeware shops and magazines are filled with the same prints and colors as everyone clambers to find the latest fashionable accessories for their home. It can be impossible to keep up. Not to mention expensive. But, it’s important to remember that you don’t have to. If you want to try some new ideas, donate your old furniture to Habitat, while checking out their store for some bargains of your own, but don’t be a slave to fashion. Take a look at these ideas if you fancy a change, or to add some cool new splashes of style but don’t bankrupt yourself trying to keep up if you love your home as it is. Plants, flowers and especially leafy green foliage and succulents are incredibly trendy this season. Many modern homes are flats or houses with tiny gardens which don’t allow people to grow as much as they’d like. This has led to people bringing the outdoors in much more. Greenery inside opens up your house, refreshes the air, makes your rooms feel bigger and improves the atmosphere. 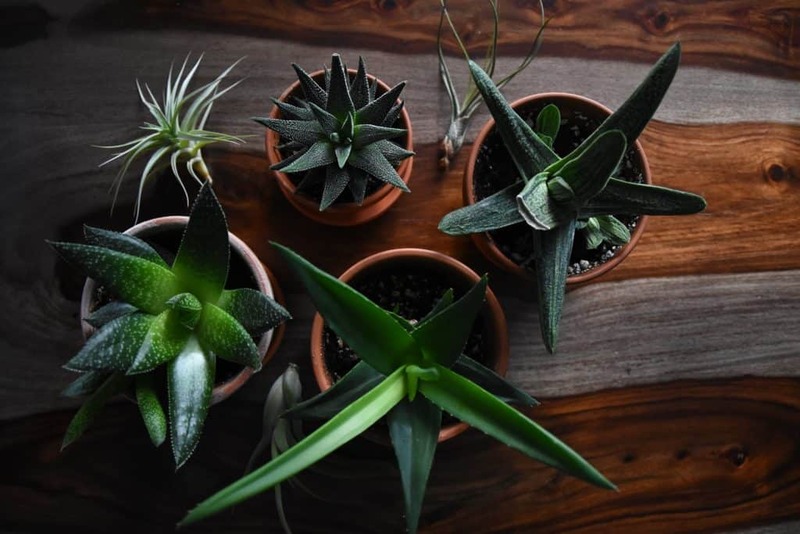 Houseplants can even improve your health. The last few years have seen blues and greens grow in popularity, so people are looking for a dramatic change. In the summer we want bright, refreshing colors and what could be better than bright ice cream shades? Bright pink, coral and cool blue are all hot right now. Bright walls, furniture and accessories that clash can add some much-needed fun to your home. Geometrics prints have been growing in popularity for a few years. Starting on cushions and accessories, it’s now common to find geometric prints on tiles and wallpaper. This can look great in bathrooms and on kitchen splashback tiles. If you fancy a geometric print in the living room but don’t want to go too far, add a feature wall and complement it with more muted and plain shades elsewhere. Bold and bright shades are great. They can make you happy and give your rooms a fun feel. But, it can be a little too much and mixing too many shades could give you a headache. Pops of color on cushions, linen and accessories is a great way to get the balance just right. Tropical themes and feels are a great way to bring all of these trends together. 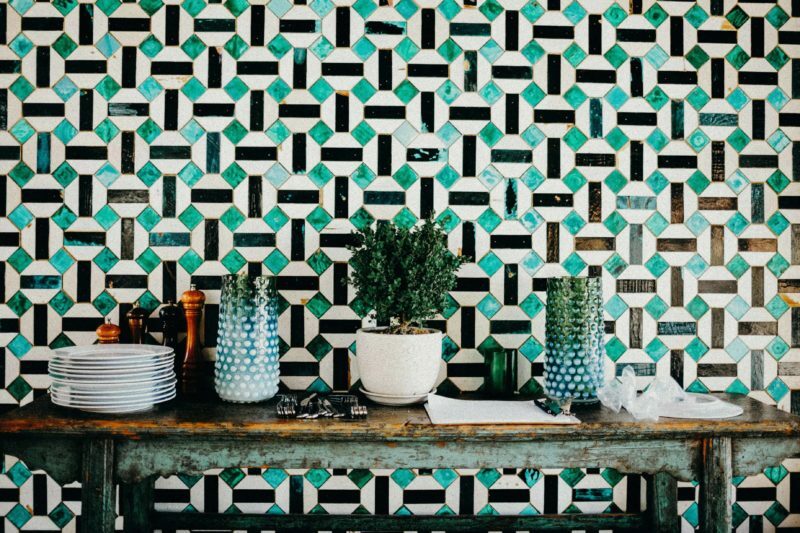 Tropical walls with added houseplants, color bursts and plenty of glittery gold geometric prints can all work well together to create a fun, abstract design. This year’s home trends are all about fun and color. About locking away the unrest and unease of the outside world to create a fun, bright paradise of your own at home. This can help to cheer you up, improve your mood and make the world seem like a much better place. Even if it’s just your little part of it!